If you have any questions about the ZENOBIA information page below please contact us. Hailing from the Abeking & Rasmussen Yachts (Schiffs-Und Yachtwerft ) yacht builder in Germany the ZENOBIA is 57 metre 188 (ft) in length. Launched to celebration in 2003 the recent interior decoration reflects the stature in the designing of Alberto Pinto. 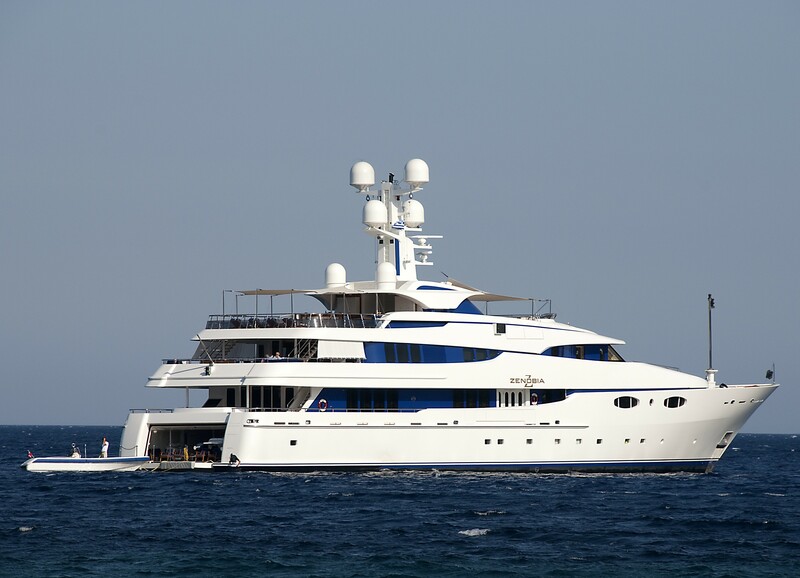 Superyacht ZENOBIA is able to accommodate up to 12 passengers with 14 qualified crew. She will reach a high speed of 16 knots. Abeking & Rasmussen was the naval architecture company involved in the professional superyacht design work for ZENOBIA. Also the company Abeking & Rasmussen and Donald Starkey Designs successfully worked on this venture. Interior designer Alberto Pinto was selected for the internal interior styling. Created by Abeking & Rasmussen Yachts (Schiffs-Und Yachtwerft ) the yacht was fabricated in the recognised yachting country Germany. She was officially launched in Lemwerder in 2003 before being delivered to the owner. The hull was crafted from steel. The motor yacht main superstructure is made mostly using aluminium. 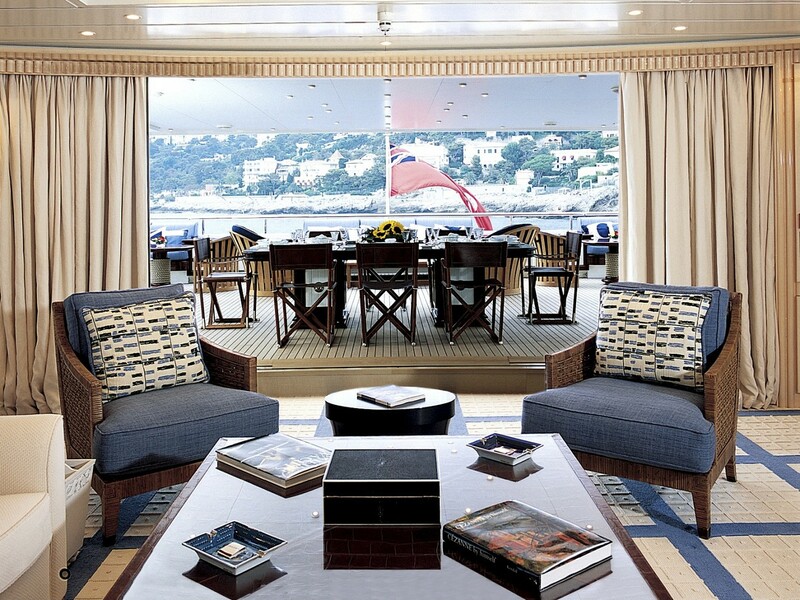 With a beam of 10.7 metres or 35.1 feet ZENOBIA has spacious room. A fairly deep draught of 3.5m (11.5ft) limits the number of worldwide ports she can enter into, contingent on their specific depth. She had refit maintenance and modification completed in 2009. The 3516 DITA engine powering the yacht is produced by CATERPILLAR. For propulsion ZENOBIA has twin screw propellers. The main engine of the yacht gives 1870 horse power (or 1376 kilowatts). She is fitted with 2 engines. The total power for the boat is accordingly 3740 HP or 2752 KW. 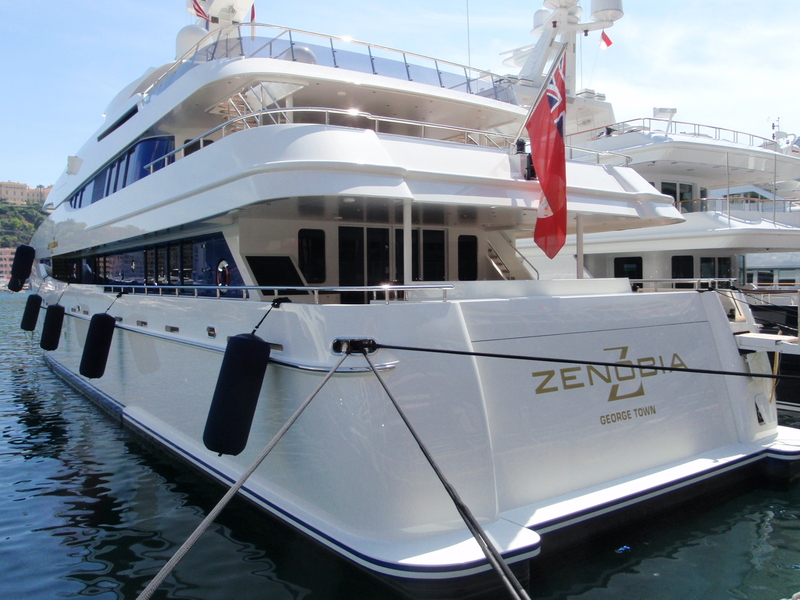 With volume for a limit of 12 visiting passengers overnighting, the ZENOBIA accommodates them in luxury. The boat carries approx 14 proficient crew to run. The propulsion comes from two 1870 HP / 1376 kW Caterpillar. The Model type is 3516 DITA diesel. Giving the combined power of 3740 HP /2752 KW. 4000 at a speed of 14 knots. On Sept 2009 ZENOBIA went to Tínos, in Greece. 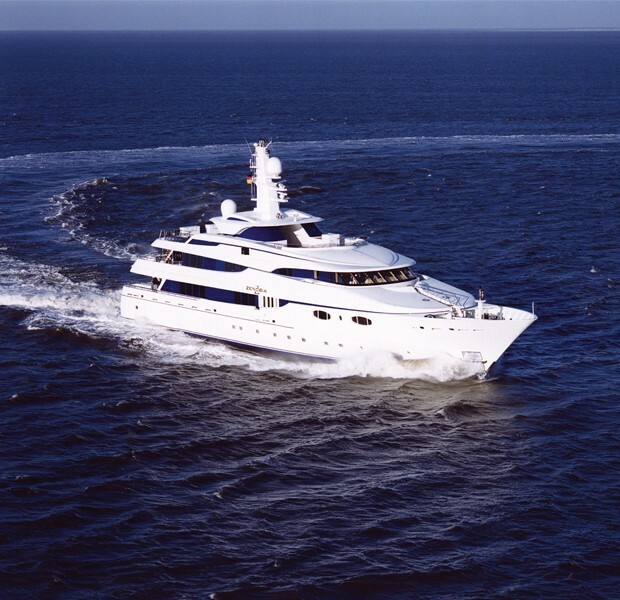 This motor yacht also cruised the area around Kykládes during the month of Sept 2009. She has a teak deck. The luxury yacht ZENOBIA displayed on this page is merely informational and she is not necessarily available for yacht charter or for sale, nor is she represented or marketed in anyway by CharterWorld. This web page and the superyacht information contained herein is not contractual. All yacht specifications and informations are displayed in good faith but CharterWorld does not warrant or assume any legal liability or responsibility for the current accuracy, completeness, validity, or usefulness of any superyacht information and/or images displayed. All boat information is subject to change without prior notice and may not be current.